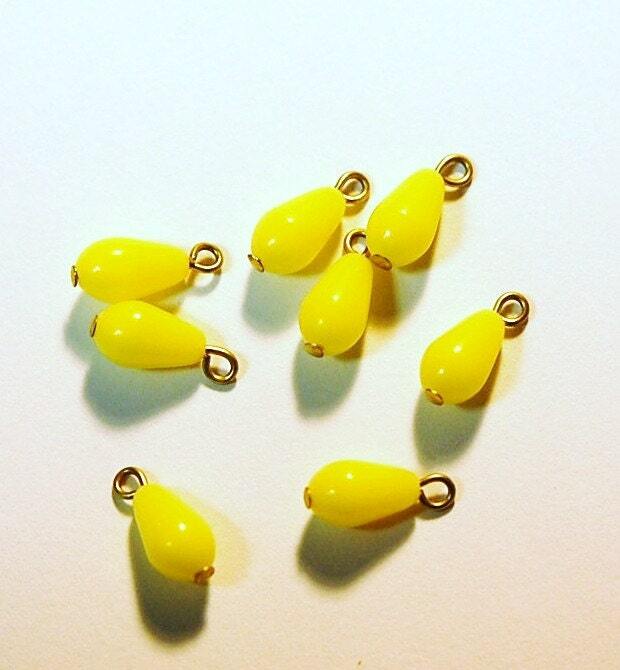 These are vintage yellow plastic drops. 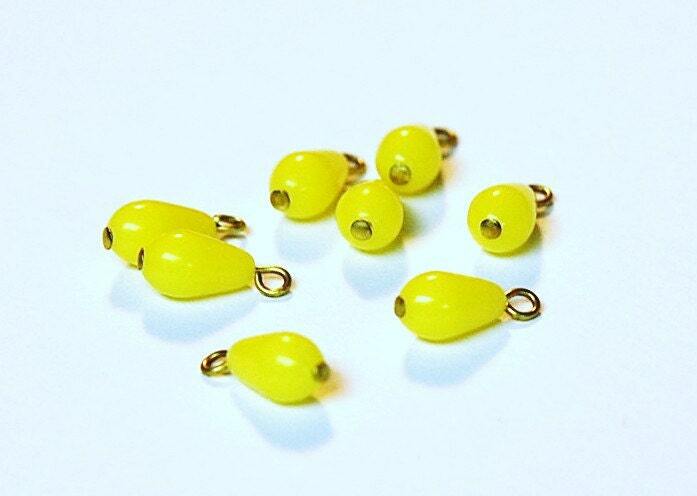 These measure 14mm long with loop X 6mm wide. You will receive 8 pieces. good quality beads, Thank you! !